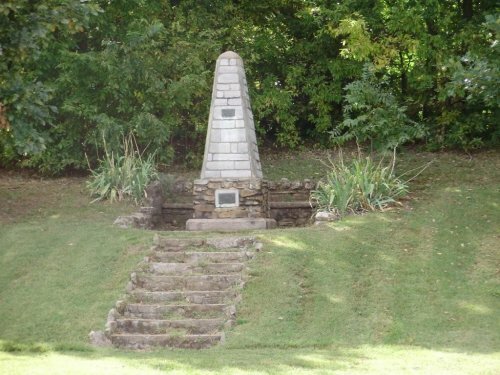 The Avery Steam Engine marker monument at Cave Park provided the final piece to the three year project undertaken by the City of Oxford. 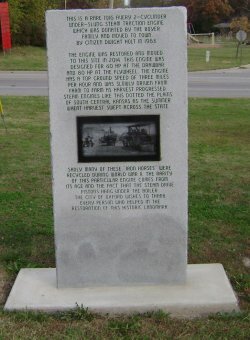 The marker provides a history of the Avery Steam Engine and its relationship to the agricultural heritage of south central Kansas and Oxford. The monument was funded by a grant administered by Legacy Foundation. The Avery Steam Engine restoration project began as a discussion at the Oxford Park Board meeting of September 2011. The Oxford Park Board Members Jane Dowers, Deanna Houser, Judy Thomas, Julie Phipps ,and Danny Ginn met with Councilmember Tommy Lowry and City Superintendent Robert Spoon to discuss the deterioration of the Avery. 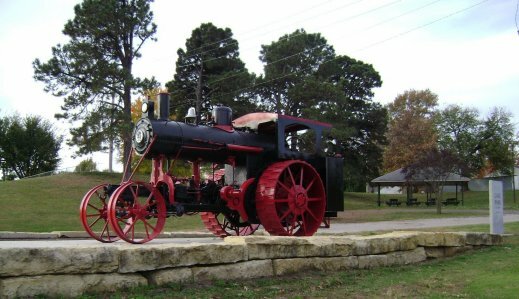 The Park Board established a goal: "to keep the Steam Tractor available to all people of Oxford and other visitors by restoring it in appearance only. It will not be restored to working condition, only to a physical static shape." The board identified a local business man, Wade Metz, that was willing and able to move the Avery to a local metal shop for repairs. In March 2012, the Metz family carefully moved the 100 Avery from its 50 year resting place at the top of the hill at the south end of Cave Park. It took a little gentle persuasion to get the antique steam engine to move, but patience and perseverance won out, and the Avery finally made it to L.G. Pike Construction Co. in Arkansas City. At L.G. Pike Construction Co., former Oxford resident Kalin Taylor and his co-worker Stan Vaughn took on the project as a fill-in job for slow periods. During the Avery's stay at L.G. Pike, Kalin and Stan had to recreate two boiler tanks that are mounted on the back of the machine because there was nothing left to work with. The two artists/fabricators also had to rebuild the operator platform and overhead canopy, then added steps to make it more accessible for visitors. Kalin also created polyurethane castings of the Avery "bulldog" logo from the front of the steam engine. Several organizations and individuals have been very helpful with the restoration efforts, including but not limited to, the Gas and Steam Engine Club, The Oxford Lions Club, Thomas Family and Legacy Regional Community Foundation. 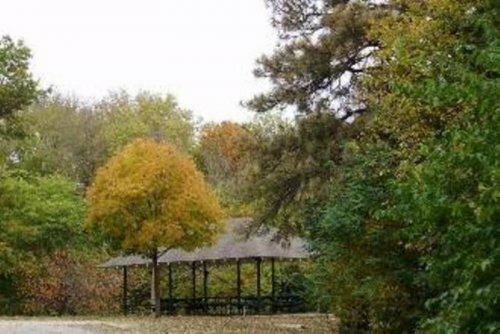 According to a study performed by the Kansas Department of Transportation, there are over 3,000 vehicles that pass by Cave Park daily. The park and its pavilions provide a resting point for travelers on Highway 160. The Avery monument will provide entertainment and information about the regional history for travelers and future generations of local citizens. 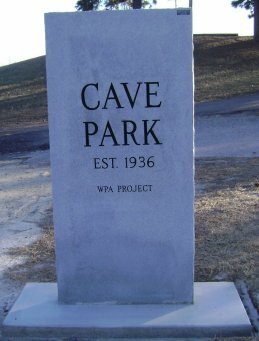 Cave Park was named and dedicated to Dr. Cave. It is located on the east edge of the city along the beautiful Arkansas River. 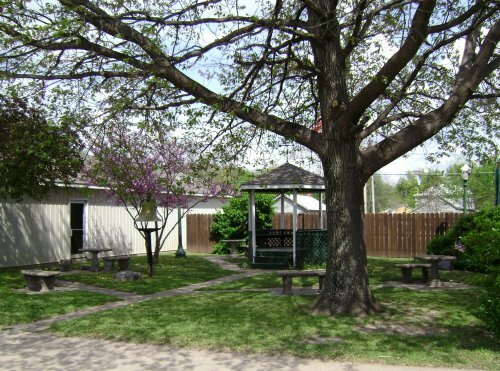 There are 5 shelters in this park that can be used on a first come first serve basis, or reserved for a specific date with an five dollar ($5.00) reservation fee paid at the City Building. A reservation takes precedence over the first come-first serve practice. The bathrooms in the park are opened from April 15th to October 15th. 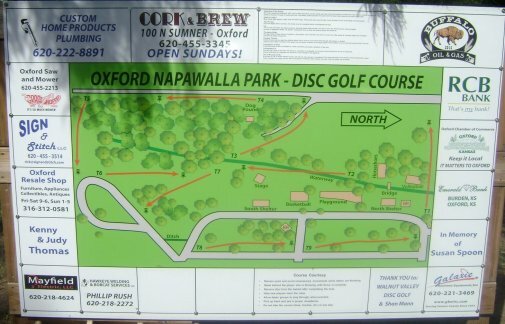 Additional maps of the disc golf course can be picked up at the city office. 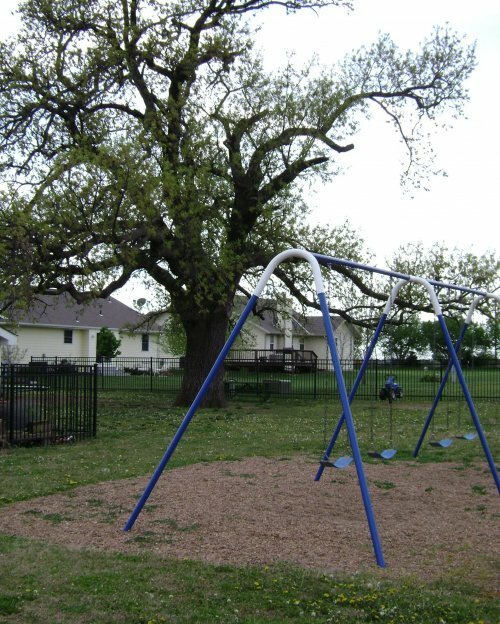 Napawalla Park is located in the southwest section of the city at the intersection of Napawalla Road and West Clark. Electric hookups are available for campers in the Park for a fee of eight dollars ($10.00) per day. 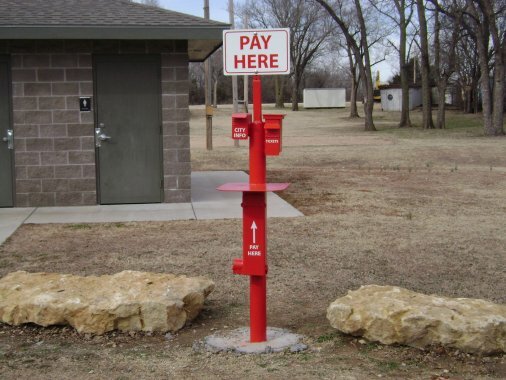 There is a "self-pay" station for payment of camping fees located at the north end of the park in front of the newer shower house/restrooms. Water is available and a sewer dump is provided for visiting campers. 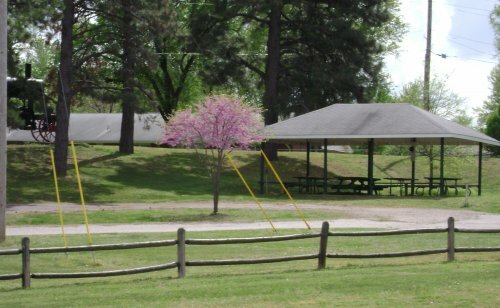 The 2 shelters in the park can be reserved just as the ones in Cave Park. The park also has a basketball court. The bathrooms in the park are opened from April 15th to October 15th. intersection of West College and North Pacific. The playground offers a great fenced playground area for the children and the young at heart. The Oxford Public Swimming Pool is located on North Water, just south of the Oxford Jr./Sr. High School parking lot. The pool is open from Memorial Day to Labor Day. The Ball Diamonds are located northwest of the Oxford Jr./Sr. High School. The Oxford Baseball Association offers T-ball, parent pitch, softball and baseball. In the heart of the City the Little Town Square provides a place to rest or enjoy the activities of downtown. It also provides an additional recreation center for the adjoining Oxford Lions Club Community Center. 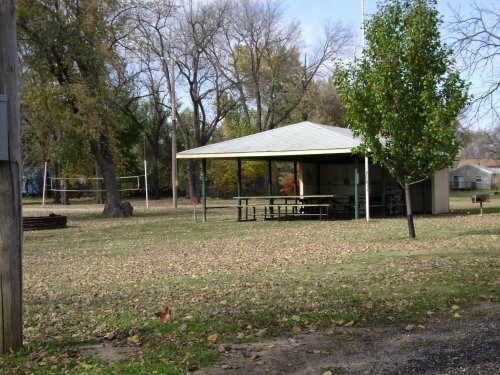 The park is located on the east edge of the City along the beautiful Arkansas River. There are 5 shelters in this park that can be used on a first-come first serve basis, or reserved for a specific date with a reservation fee paid at the City Building. This reservation takes precedence over the “first come-first serve” practice. 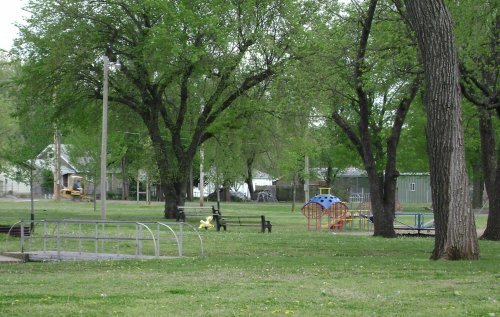 The park is located in the southwest section of the City at the intersection of West Clark and Napawalla Road. There are electric hookups available for campers for a fee of $8 per day. Water is available, and a sewer dump is provided for visiting campers. The 2 shelter can be reserved just as the ones in Cave Park. The park also has an outdoor basketball court. West Oak Park is one of the newer parks in Oxford. It is located on the west side of town, just south of the intersection of West College and North Pacific. 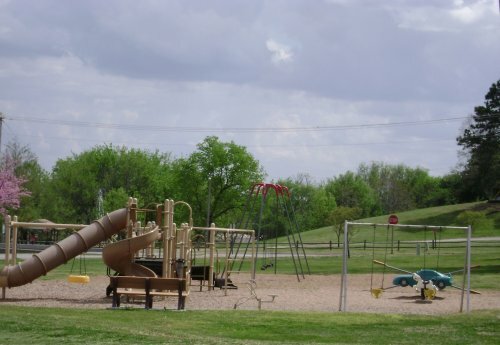 The park offers a great fenced in playground area for the children and the young of heart. The cement slab sits on the historic site of the original Oxford water tower. Please note that the parking spaces are located along Olive Street only. All property surrounding the cement slab is privately owned. The Oxford Public Swimming Pool is located on North Water Street, close to the Oxford Jr/Sr High School. It is open from Memorial Day to Labor Day. The baseball diamonds are located northwest of the Oxford Jr./Sr. High School. The Oxford Baseball Association offers T-Ball, parent pitch, softball and baseball.